Martín Barreiro Carreira was born 1977, and holds a Degree in Physics from the University of Santiago de Compostela (2003). 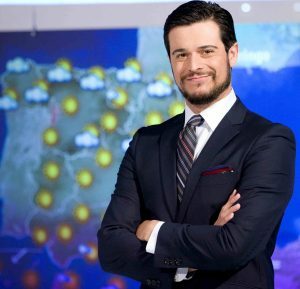 From 2002 to 2010 he worked as operational and numerical meteorologist at MeteoGalicia, a regional meteorological centre, and as a weather forecaster and presenter at Televisión Galicia TVG (Galician public television). In 2010 he joined Televisión Española TVE (Spanish public television). 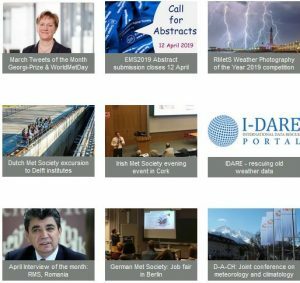 All four forecasts will be shown as examples of good practice during the Media Session at the EMS Annual Meeting in Sofia on Thursday, 10 September 2015. The Award will be presented to Martin Barreiro at the Awards Session on Tuesday, 08 September 2015.